Offering you a complete choice of products which include pcd tools, pcd tipped inserts, pcd turning tools, diamond tools, pcd inserts and pcd turning inserts. We are an accredited company, engaged in offering PCD Tools. These tools are sturdy in design and abrasion resistant, therefore demanded by our customers. 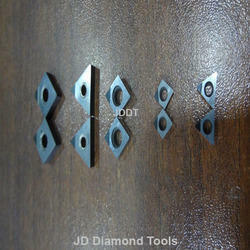 The offered PCD tools are able to cut and drill tough materials like steels and cast irons at a fast pace. Sizes : Various sizes and dimensions of tools can be availed from us at affordable prices. Duration : We offer the given tools to our clients within given span of time. We specialize in offering a comprehensive gamut of PCD & PCBN Turning & Boring Tools. These special type of turning tools are used for commutator turning and other applications as per the requirements of our clients. 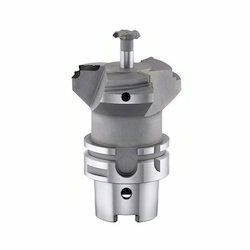 In addition to this, our organization is also instrumental in providing boring tools for CNC & VMC applications. These PCD Turning Tools is a synthesised, extremely tough, intergrown mass of randomly orientated diamond particles in a metal matrix. It is produced by sintering together selected diamond particles at high pressure and temperature. 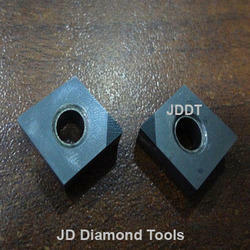 Poly-crystalline diamond (PCD) is used in many cutting operations as a substitute for mono-crystalline diamonds (MCD). Its advantages are in the interrupted cut and in cases of extreme wedge angle geometry. The correct type of PCD for the respective task, polished cut surfaces and the finest ground cutting edges are important characteristics of our tools. PCD Turning Tools range on the one hand includes drills, milling cutters and reamers as well as ISO-Indexable inserts. We present to our clients a wide variety of Special PCD Tipped Inserts. These tools are used for cutting cast iron, aluminum, copper, stainless, bronze, and several heat treated metals for metalworking and Automobile industries. Custom designed as per the requirements of our clients, these products are high on performance, and highly durable. Furthermore, we have designed these products to make them work with high precision machines with tolerance of 0.001mm and 0.005mm run out. Since the inception of our company, we have been instrumental in offering a wide range of the supreme quality of PCD Inserts to our esteemed customers. 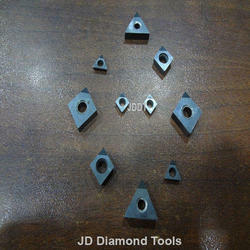 These inserts are used for turning, grooving, milling and boring of various metal and non-metal materials. Due to their rich features such as sturdy construction and corrosion resistance, the offered PCD inserts are highly appreciated among our customers. Owing to our extensive transportation facilities, we have been able to deliver these inserts in committed time-period to the customers' premises. We are one of the prominent manufacturers, suppliers and traders of a wide assortment of PCD Tools. These products are widely demanded for heat resistance, anti-corrosion, durability and easy maintenance. Fabricated by using fine grade raw material, our range of tools can be availed from us in varied dimensions as per the requirements of our clients. 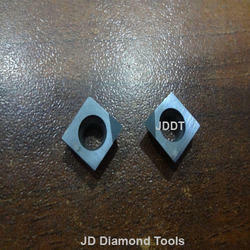 A diamond Inserts is a cutting tool with diamond grains fixed on the functional parts of the tool via a bonding material or another method. 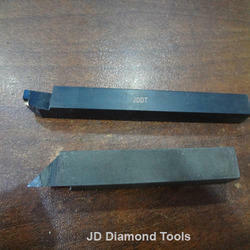 As diamond is a superhard material, diamond tools have many advantages as compared with tools made with common abrasives such as corundom and silicon carbide. We present to our clients an excellent array of PCD Cutting Tools. Available according to the specifications stated by our clients. These PCD Cutting Tools are used for the following grooving applications: Grooving & under cutting Turning & Grooving for external & internal Profiling for external & internal turning. 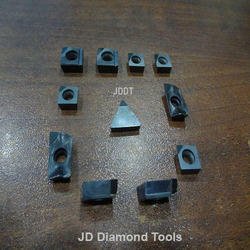 We are a stupendous entity, engaged in offering the finest quality range of Special PCD Tools. Offered PCD tools are used for making holes on metal or concrete surfaces and are highly demanded in various industries. To manufacture this PCD tool our team of professionals makes use of only quality assured raw materials and latest machinery. This PCD tool is available in distinct sizes as per the specific requirements of our clients at reasonable prices.